Former Strawberry Queens offer sage advice for the current court and future contestants. Each year five girls receive the honor of being the Florida Strawberry Queen and Court. With the esteemed title comes a year of responsibility as the girls attend events, volunteer and do their best to represent the festival and town. The experience is unlike any other and former Strawberry Queens are offering words of advice to the current court and future winners. The key to a happy reign, they said, simply lies in making sure you soak up every moment. The intense schedule is one of the things all of the queens said they were honored to be a part of. When Knotts was crowned she said they walked off stage and were immediately told they would be meeting the next day to begin the whirlwind of a year. It caught her off guard, but she and her court stepped up to the challenge and had a blast. Opening day at the Strawberry Festival is one of the longest days the girls have. 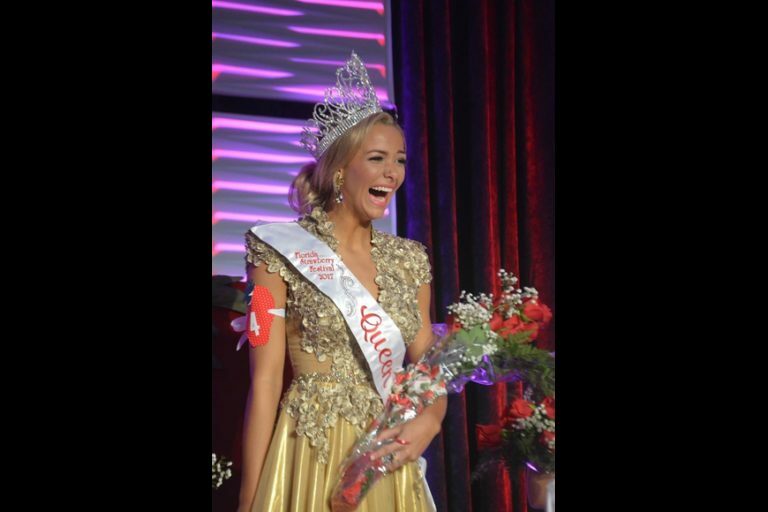 Jessi Rae Varnum, the 2014 Strawberry Queen, said she remembered learning to Polka Dance, chatting with interviewers and greeting the hundreds of guests who came through the gate. It was “overwhelming,” but she said it was one of the most exciting days of her life. She recommends future Queens and Court members be prepared for the long hours and remember that they’re prepared for anything that will be thrown at them. The queen and her court will be together for countless hours over the year of their reign. Sometimes, like with Knotts, the girls will have grown up together and know each other well. Usually, that is not the case but Benton said the group truly does become “sisters” by the time it is all said and done. When Benton was crowned she didn’t know any of the girls on her court. Three of the girls had gone to school together but Benton said it didn’t take long for all of them to bond. She also recommended those chosen to serve tap into the sisterhood of former queens. She said some of her closest friends have come from getting to know those who served before her. If any current or future queen or court member ever has any questions, either about the court or life in general, they can reach out to the former royals and know they’ll be welcomed warmly. For future contestants, all of the girls had one piece of sage advice: Be true to yourself and remember that confidence is key.